Our Fall training season caters to youth looking to train, develop and compete in a positive atmosphere. We focus on the development side of the players and make sure to help what they are learning transition into our showcase days. 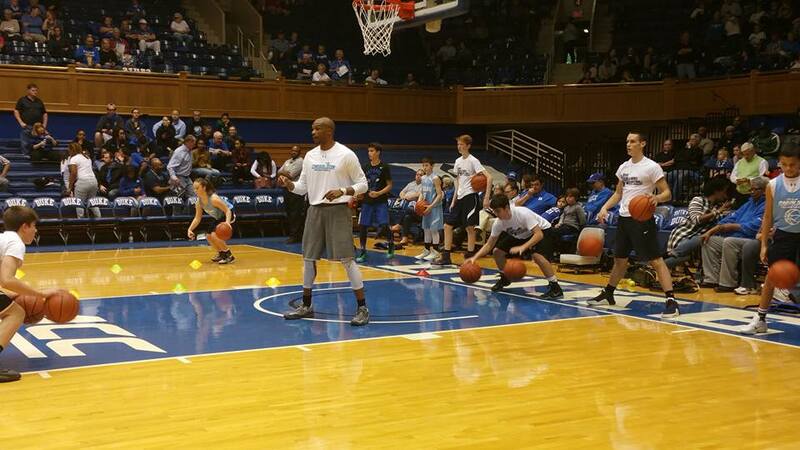 Photo of our 2015 Training Group displaying a training demonstration during the halftime of the Duke vs Notre Dame basketball game. This program begins with a study hall to make sure that players work on academics before training activities start. It is designed to teach the game of basketball and conditioning in a challenging training environment. Players are challenged to go beyond their comfort level combining skills training with cardio, strength and power emphasis. Incorporated into each training session is Ball Handling, Shooting, Passing, Driving, Finishing, Post Play, Rebounding, Individual Defense, Team Defense, Core, Verta-Strength, Verta-Skill and Speed Training. We will hold several camps during the winter that mesh well with most WNC school schedules. It is our primary aim to teach new skills in fundamentally sound basketball and to improve student athlete's abilities in the finer points of basketball. 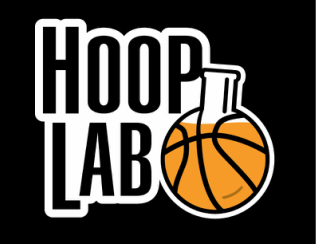 We ensure a better practical understanding and application of the basis of modern day basketball (on both offense and defense) for every individual attending the basketball school. It is our desire not only to develop the high school and college players of tomorrow, but to help all our campers acquire the important ideals of good sportsmanship, leadership and citizenship. This program focuses on teaching and understanding the tools needed to be an efficient point guard. From ball handling, court vision, leadership and character, we try to help each player become better floor generals. This program focuses on mechanics, form, and functionality of shooting in repetitive form. Shooting school focuses on gaining muscle memory within form and building consistency within your shot. Not only are we teaching you how to make shots, we are training you how and what it takes to make shots in tough situations. Our program will hold specific days available on our schedule for our members to play competitively against their peers. It is necessary to have a healthy balance of skill development and competitive play so that they are translating and progressing properly in the game of basketball. Concentration on 1v1 3v3 5v5 Skill Challenges and more.